The Hospitality Industry Technology Exposition and Conference (HITEC®) is the world's largest and oldest hospitality technology exposition and conference brand. Produced by Hospitality Financial and Technology Professionals (HFTP®), a global nonprofit hospitality association that is headquartered in Austin, Texas USA, HITEC offers a unique combination of top-notch education, and brings together the brightest minds and hottest technologies from across the globe to one place. The unparalleled event offers attendees essential education, access to top hospitality technology industry experts and the resources to find cost-effective ways to improve company bottom lines. Combined with the intimate opportunities to connect with fellow professionals, HITEC has everything to enhance your career. HITEC Dubai 2018, co-produced by Hospitality Financial and Technology Professionals (HFTP®) and Naseba, will feature 30+ speakers, 600+ hospitality stakeholders and 60+ solution and service providers. 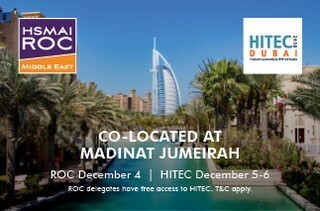 The show will give Middle East buyers currently worth over USD 75 billion, access to global top solution providers in hospitality market, through a top-notch education program planned by the expert HITEC Dubai Advisory Council, as well as an exhibition debuting the latest in hospitality technology, and a summit with one-to-one business meetings.